Home // New Products // New 4AGE MR2 header available now! 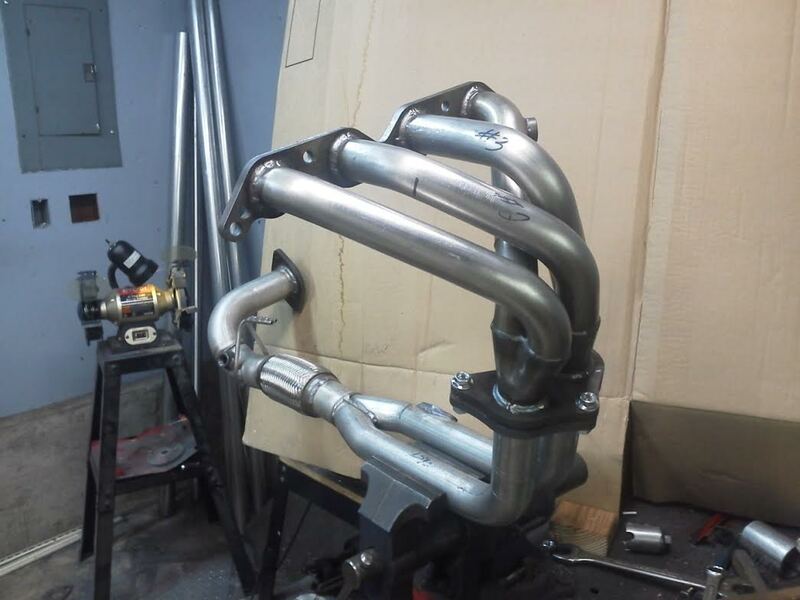 Here’s the latest on the new MR2 header. These are now in the catalog and available to order. In this pic, it’s coupled to an extended-length 20V-to-AW11 downpipe with 2.5″ SC-style outlet. As mentioned earlier, building from scratch allows us to do several things that we couldn’t do with a modified 20V header, and make a few improvements along the way. The header is now listed in our online store and you can place your order whenever you’re ready. I wanted to see if you had any time frame for a second batch of these headers being made. Thanks! Not yet, but it’s been on my list for some time now. Notices will be posted as soon as I am able to take orders! The header is now live. I’m ready to build one for you!